The plumbing in your home is often one of those things that you don’t think about unless there is something wrong. If the drains aren’t clogged, if the toilet is flushing as it should, or your pipes aren’t freezing during the cold Estes Park winters, why would you worry about it? Well, there’s a lot that goes into your home’s plumbing system, so questions may arise throughout the year that you’ll need to be addressed. 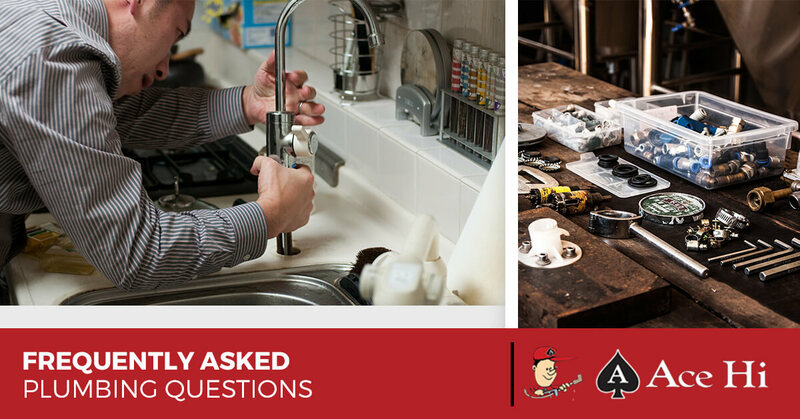 Here are some of the most common questions Ace Hi Plumbing gets from our customers. If you’re in need of plumbing services, get in touch with our plumbers today. A problem with the o ring (a piece of hardware that keeps the faucet handle in place). Many of these problems, besides broken pipes or fittings, are minor and can be fixed with by a professional plumbing service. But even the smaller issues should be addressed as soon as possible so your water bills don’t keep getting higher. Why is My Water Bill Suddenly Higher? Speaking of water bills, here’s another common question. As you may imagine, higher water bills come from using more water than you used to. But the problem occurs when the increase happens without your knowing how or why. Unless you have an especially stinky teenager who soaks in the shower, the toilet is commonly the source of water leaks. Any leaky pipe or fixture found throughout the home could also be the cause. Contact a plumbing service who can inspect your home’s plumbing with video inspection capabilities, which Ace Hi Plumbing does! Why Does My Garbage Disposal Keep Getting Clogged? Many homeowners believe that the garbage disposal is basically another trash can, but there are definitely things that shouldn’t be put down it. Avoid putting grease, fruit, or meat into the garbage disposal as these can clog the drain. Grease is especially bad because it cools and leaves a layer of residue on the pipe. Other items you should keep out are eggshells and plastic pieces. What is Hard and Soft Water? All water starts as soft. Rain water falls to the ground and gradually picks up minerals like lime, calcium, chalk, and magnesium. As these minerals accumulate, the water becomes hard. As this water runs through your pipes, the minerals will build up and cause the pipes to burst when the water freezes. Unfortunately, this happens too often during the cold Estes Park winters. The good news is that there are methods of converting hard water to soft. Ask the plumbers at Ace Hi Plumbing about your water. Why is My Toilet Constantly Running? Mechanisms in your toilet cause water levels to rise and fall when you flush. One of the parts is a chain that is attached to a flapper, and when it’s too long or too short, your toilet will continue running. This can be a simple fix by a reliable plumbing service. If there are plumbing issues in your home and you want professional advice, get in touch with the team at Ace Hi Plumbing in Estes Park. 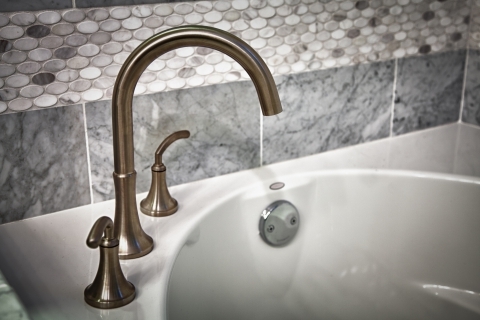 We offer a comprehensive list of plumbing services and can assure you that we’ll take the best care of your plumbing. Call us today for an estimate.